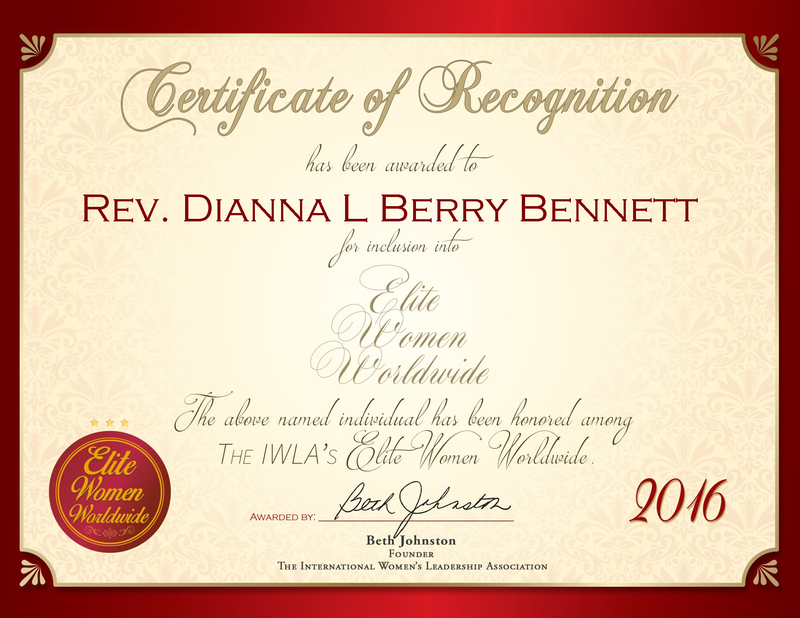 Chesapeake, VA, November 11, 2016, Dianne Bennett, Dean of the Foundation of Faith Leadership Institute at Gethsemane Community Fellowship Baptist Church, has been recognized by Elite Women Worldwide, for dedication, achievement and leadership in spiritual leadership. The advice Rev. Dianna Bennett can share with the younger generation of women entering the workforce is: life will bring us challenges; however, knowing and trusting in GOD and following HIS direction will help us to overcome boundaries and become a woman of strength. The faith-based organization, Foundation of Faith Leadership Institute (FOF), teaches how a person of faith can develop as a Christian leader in your home, work place, church, and community. As a woman in today’s world, trusting in God and in the values taught by her parents have both contributed to Rev. Dianna’s success. Her mother was an Educator and her father was in the Coast Guard; both parents displayed the qualities of respect and decency to whomever they came in contact. Rev. Dianna worked for the Norfolk Virginia Public School System for 28 years, but as an educator for a total of 34 years. She has since retired from teaching in the public school system but, now has become a leader in a faith-based organization with an educational leadership role. 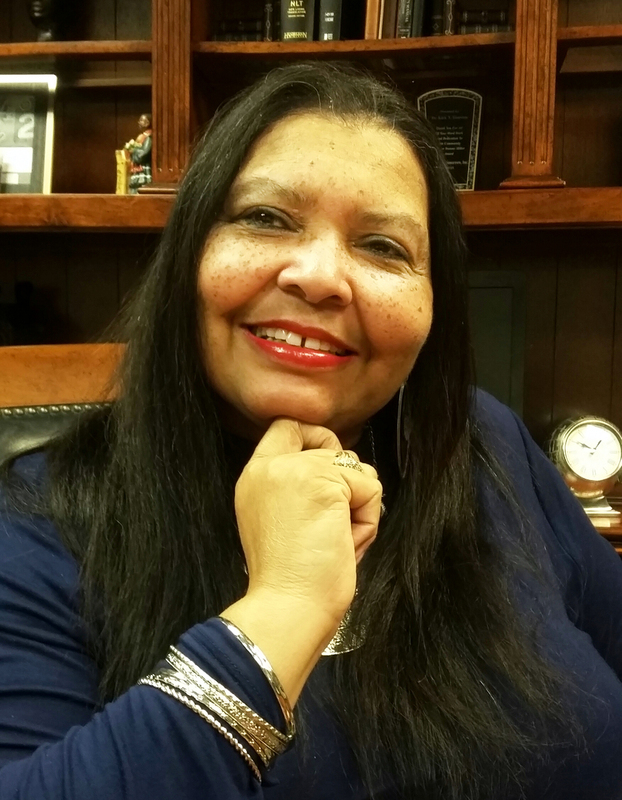 She chose this career path in her church after her Senior Pastor, Dr. Kirk T. Houston, Sr., asked her to step up into the leadership role of Dean of the Institute. With Rev Dianna’s educational background as an educator for so many years, as well as serving many years on the church’s council, he felt she would be a wonderful leader for the position, and she gladly and prayerfully accepted with honor.